Exactly right. This wonderful book, in its friendly, informative tone, carefully explains Buddhist ideas - from key concepts like Emptiness and The Truth of Suffering to an in-depth and enlightening examination of the Heart Sutra - all in terms that will help modern Christian practitioners to deepen their faith, and Buddhists, to revitalize and broaden their perception and understanding. Habito, a practicing Catholic and former Jesuit priest - as well as an acknowledged Zen master and professor in the School of Theology at Southern Methodist University - makes a clear case that Zen practice can deepen a Christian's connection to God, further clarify the Gospel teachings of Jesus, and enable one to live a more joyous, compassionate, and socially engaged life. Habito demonstrates that the practice of Zen meditation and even some elements of the Buddhist worldview can enable one to love God more constantly and commit to the service of the Realm of Heaven and the human community more wholeheartedly. Ruben L.F. Habito is the author of numerous publications, in both Japanese and English, on Zen and Christianity and is a prominent figure in the Buddhist-Christian Dialogue. A native of the philipines, Habito served as a Jesuit priest in Japan under the guidance of the great spiritual pioneer Father Hugo Enomiya-Lassalle and studied Zen with renowned teacher Koun Yamada. He lives in Dallas, Texas. A former Jesuit priest, Ruben L.F. Habito is professor of world religions and spirituality at Perkins School of Theology, Southern Methodist University, and resident teacher at Maria Kannon Zen Center in Dallas, Texas. A dharma heir of Yamada Koun, he is also the author of Healing Breath and other works in Japanese and English. "Habito may not seem himself as a revolutionary, but his humble life calling--to illuminate the commonalities between Zen Buddhism and Christianity--seems a profound gift. Habito excels in illuminating the connective spiritual tissue between the two religions, while explaining the principles of Buddhism. 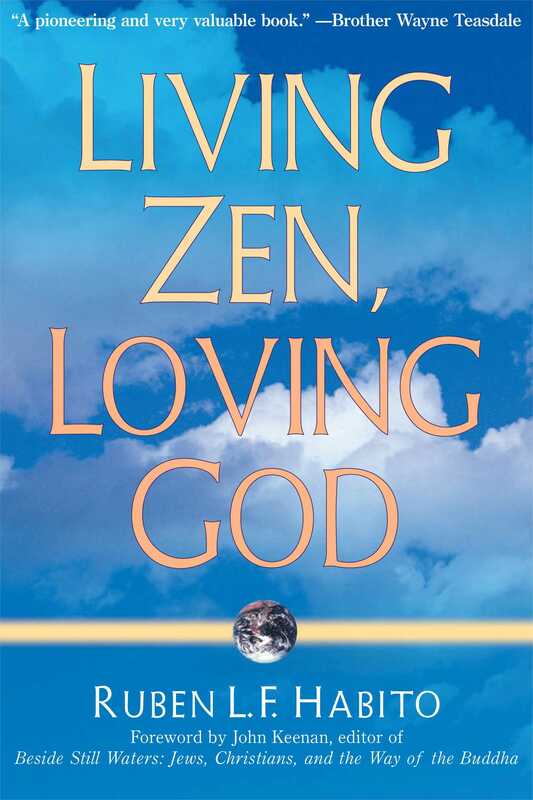 This is an excellent book for readers who want to deepen their understanding of Christianity, as well as Buddhism." "At a time when one hears all too often of the irreconcilable differences between religions, it is a relief and a delight to read the words of someone who has gleaned much from Christianity and from Zen Buddhism." "A brilliant meditation that brings new depth and scope to the study of religion." "A pioneering example of what I call interspirituality: the exploration experientially of another tradition while remaining committed to one's home tradition. This is a very valuable book." "With a deft hand Living Zen, Loving God guides us to Buddha's compassionate wisdom and to Christ's love. Completely Christian and completely Zen, Habito is one of the great and true teachers for our age." "This is theology as it should be: thoughtful, intelligent reflections arising directly out of lived religion and pointing us toward wise and loving engagement with our world." "Ruben Habito speaks from deep inner experience to illuminate both traditions for us." "An original, creative contribution to contemporary religious self-understanding. This work provides inspiration for anyone seeking a spiritual path in global perspective."